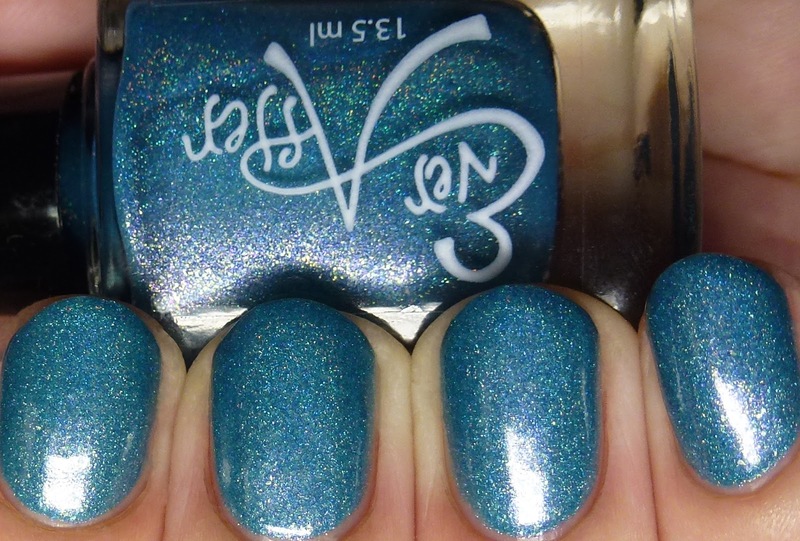 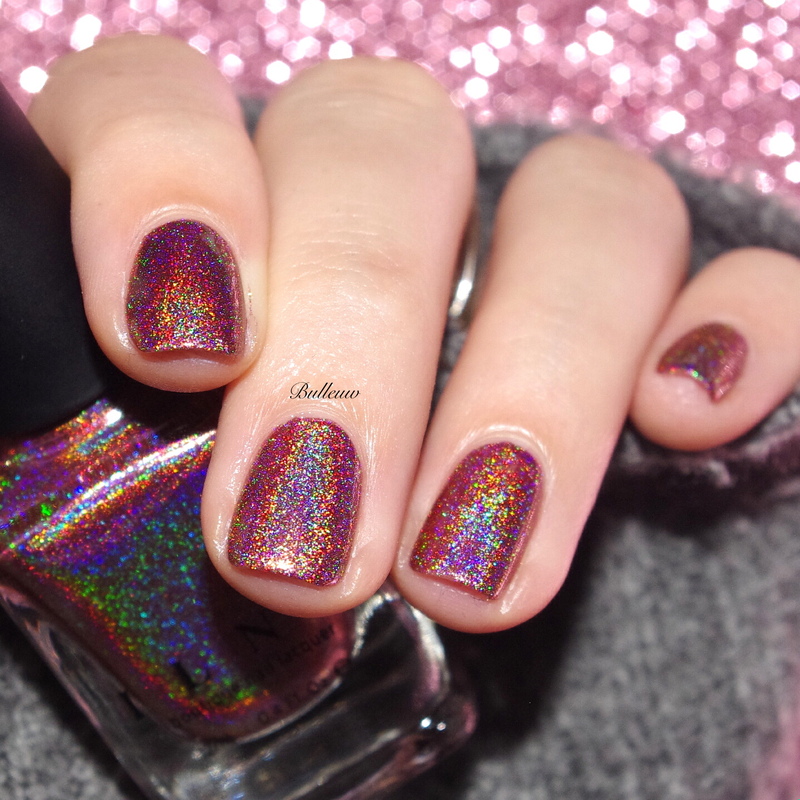 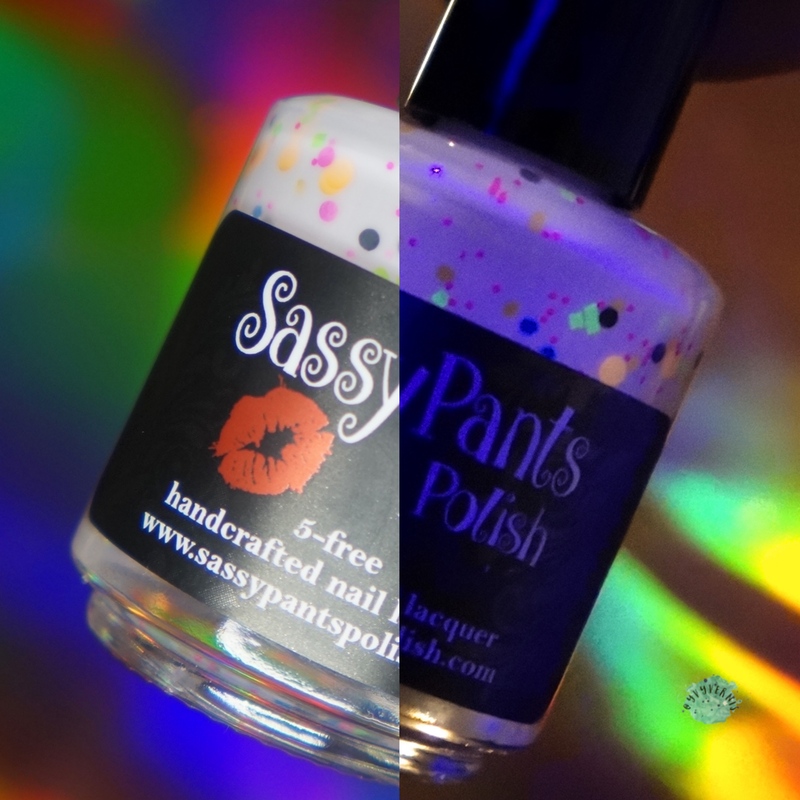 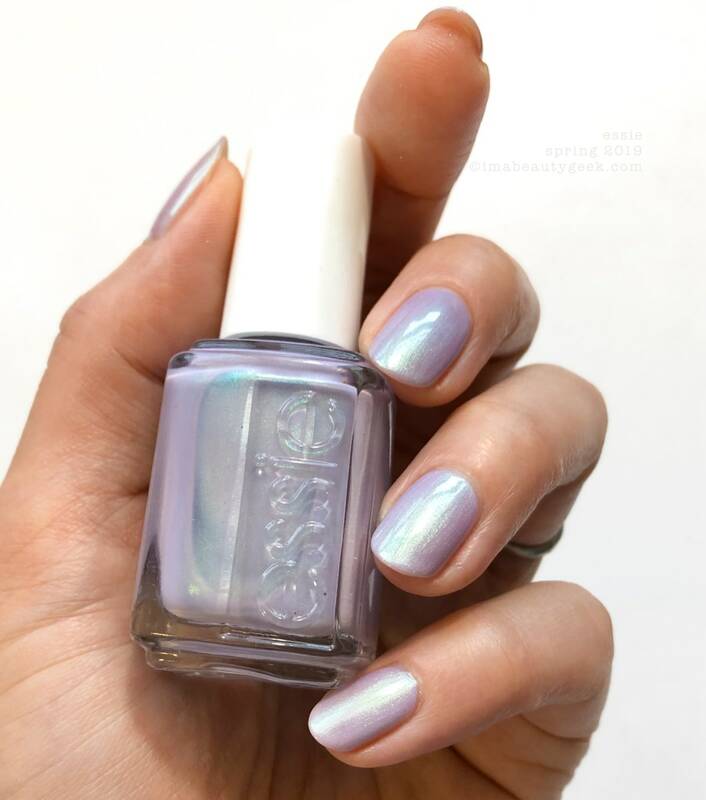 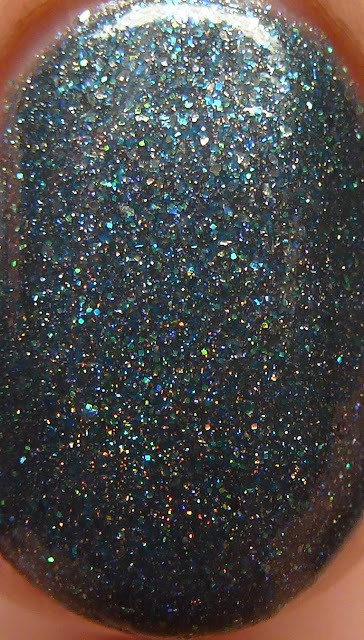 Atlantis is a scattered holo with gold and violet flakes in a Bondi blue base. 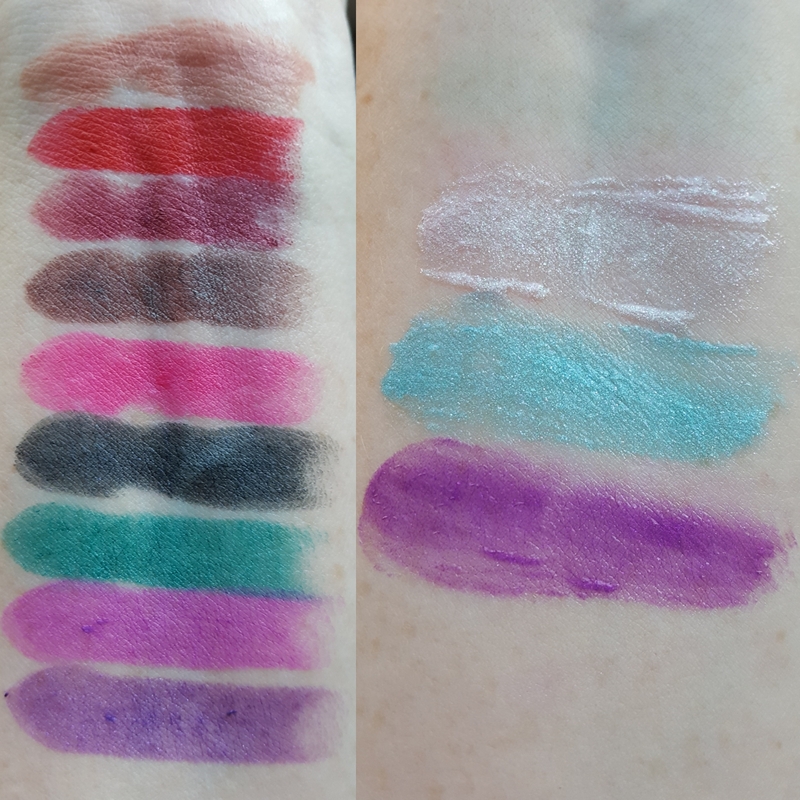 Since it is packed with shimmer, it is a bit thicker than average for the brand, but completely manageable. 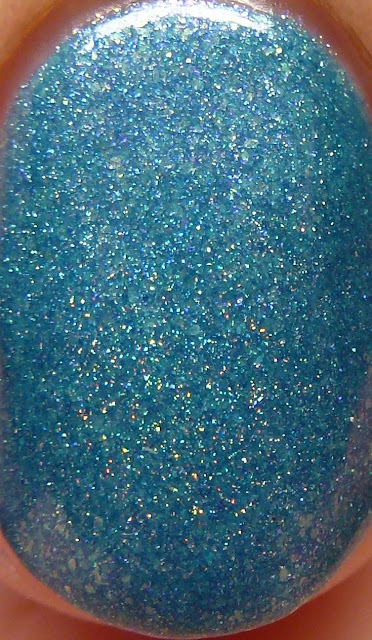 It covers in only two thin coats and dries quickly. 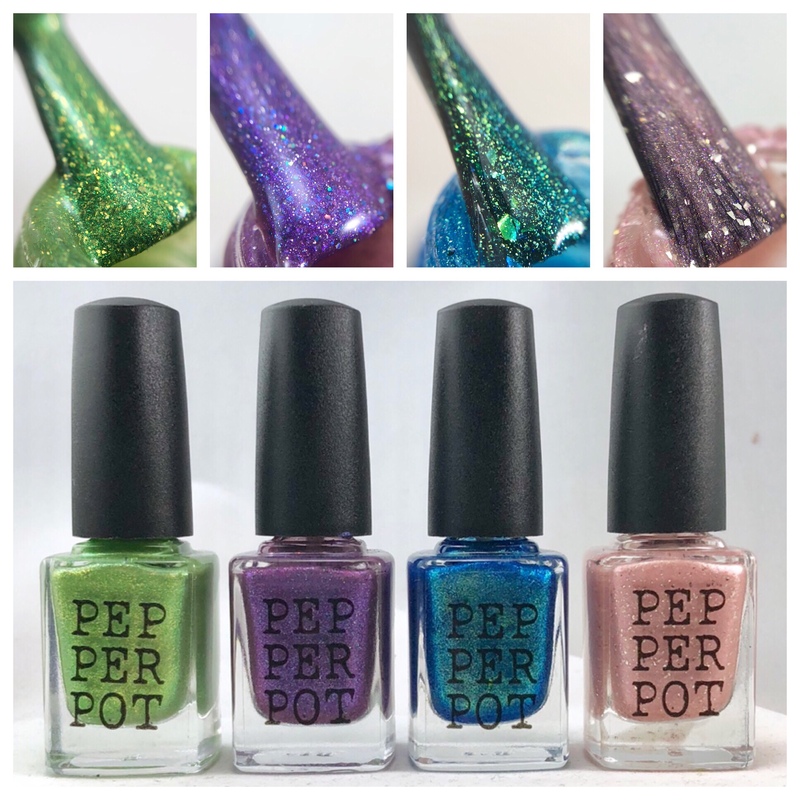 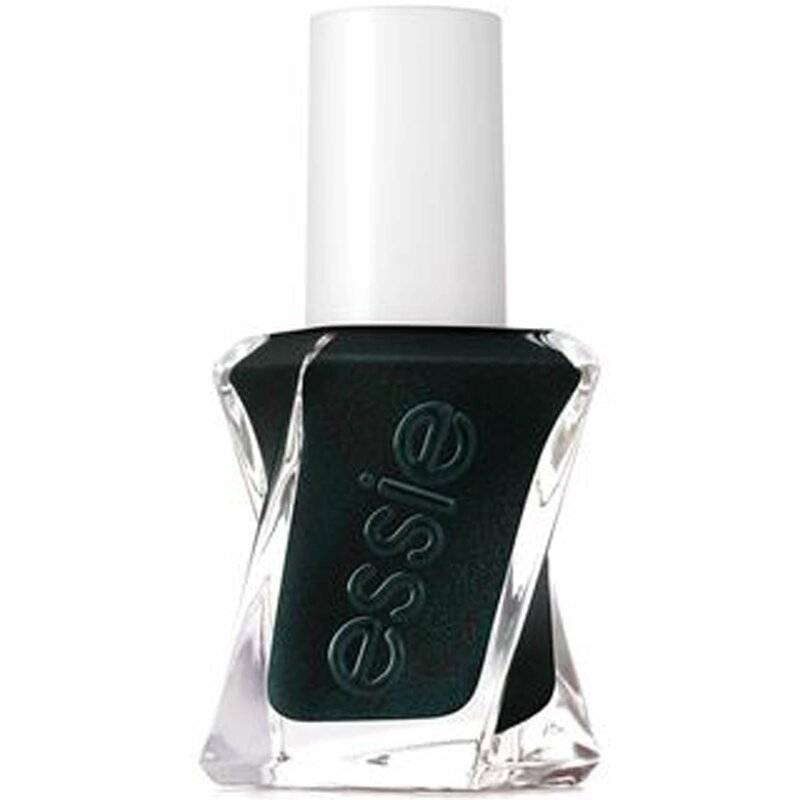 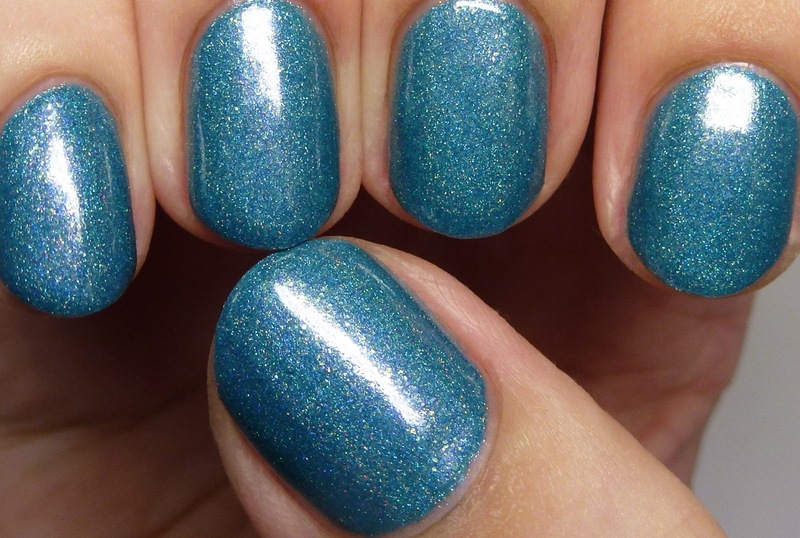 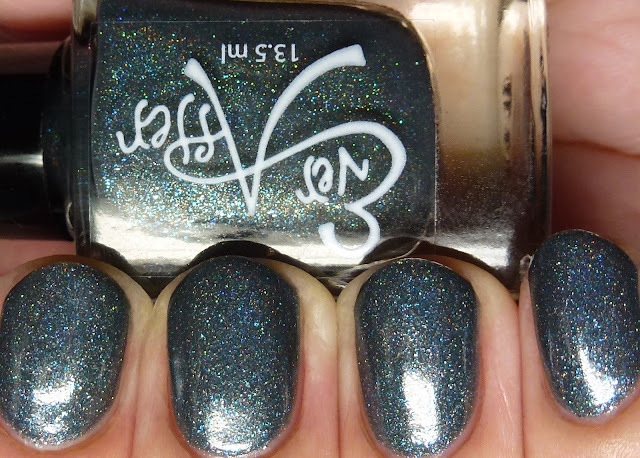 Blue Steel is a charcoal polish with scattered holo, blue and silver microflakes and the tiniest of green microglitters. 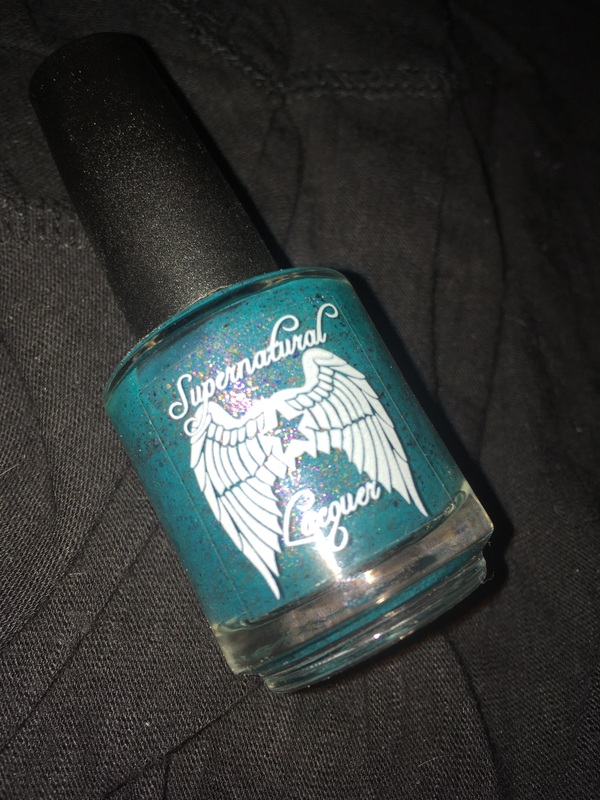 The formula and coverage is similar to Atlantis. 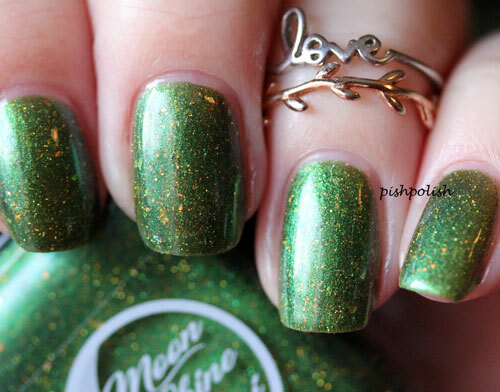 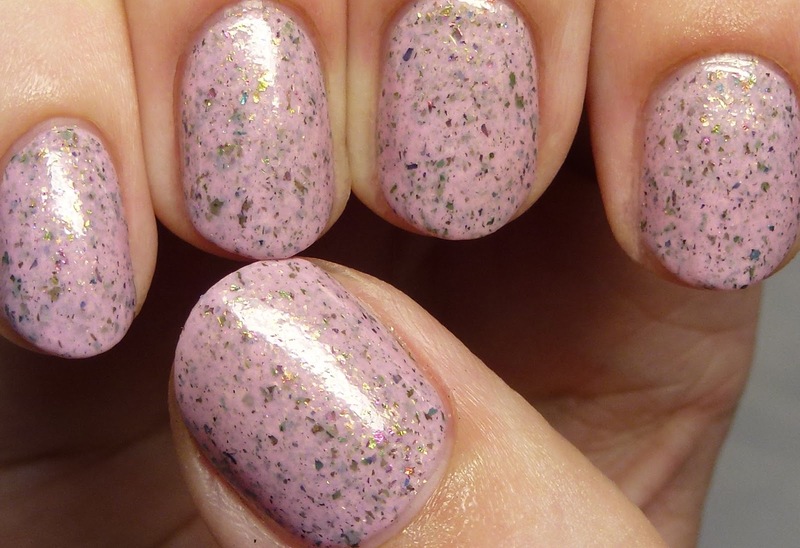 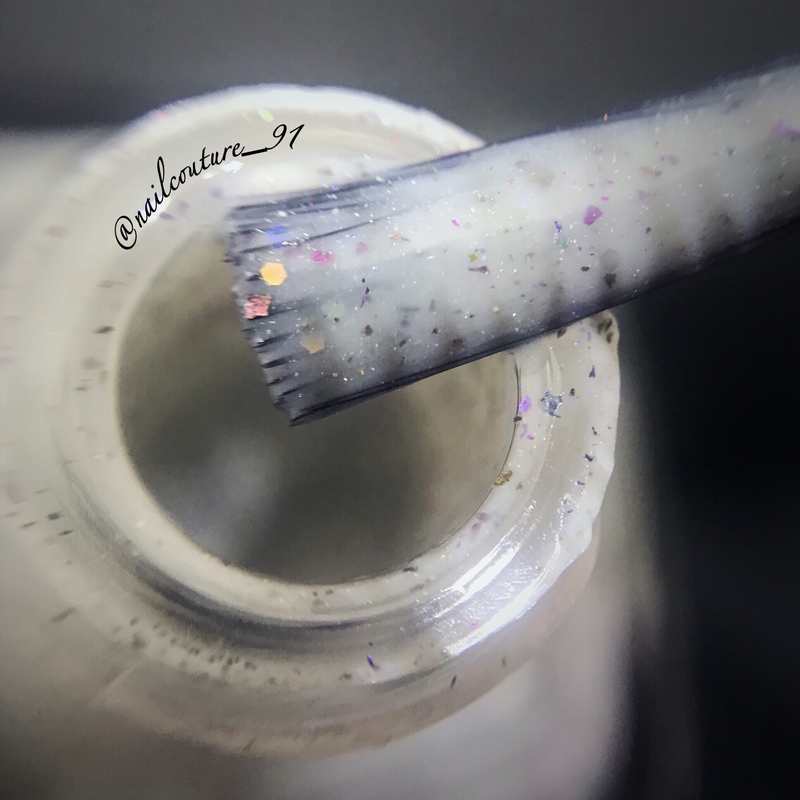 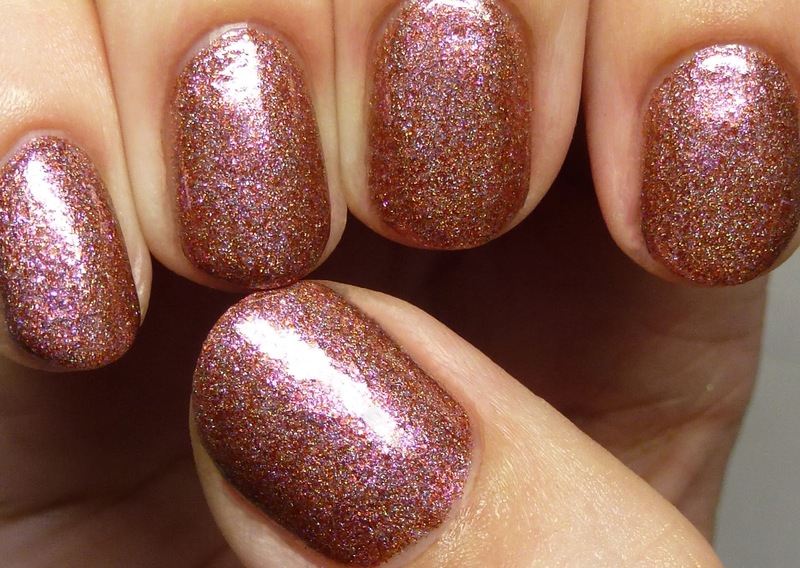 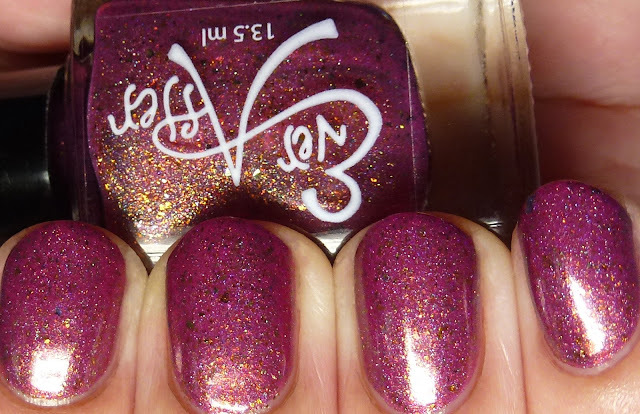 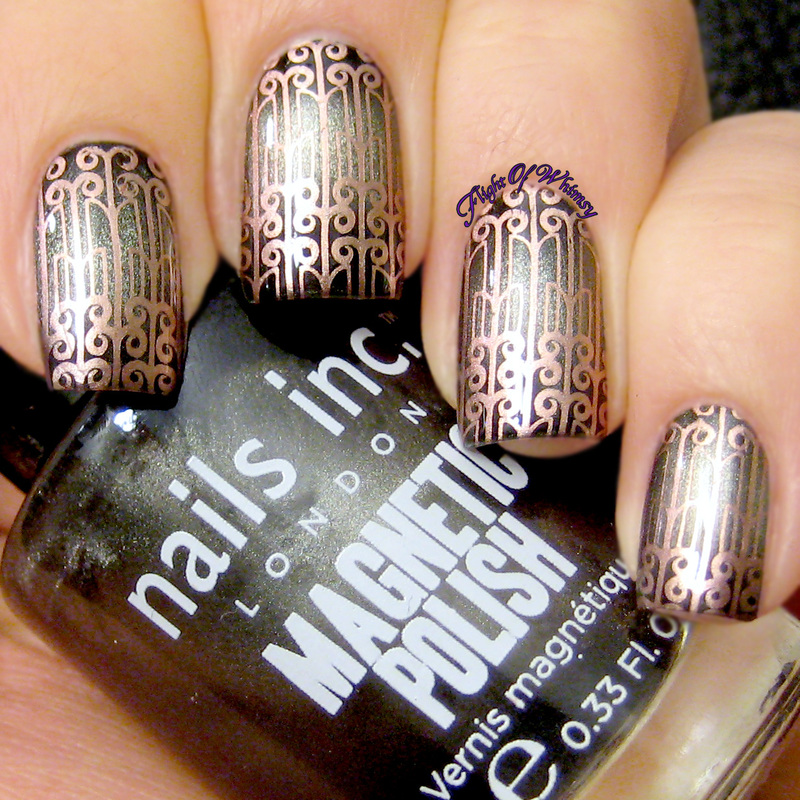 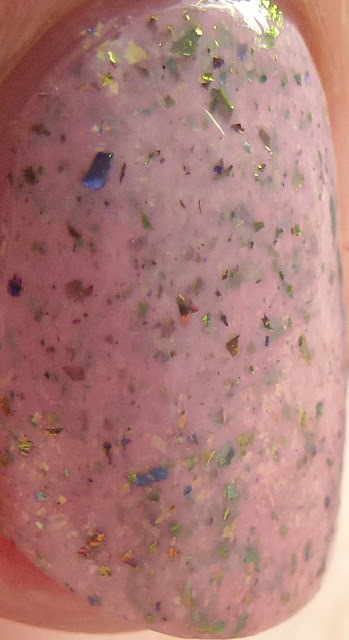 Due to the microglitter it has a slight texture but is smoothed with a single layer of topcoat, as shown here. 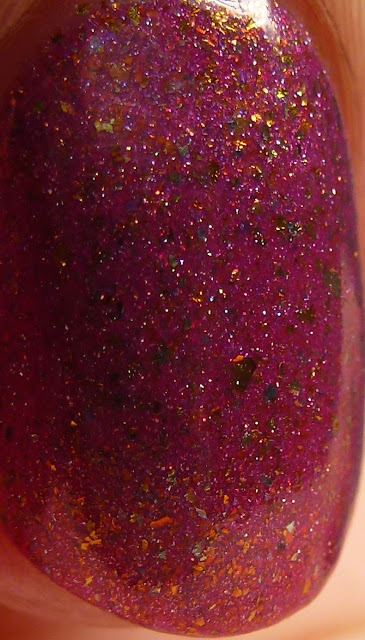 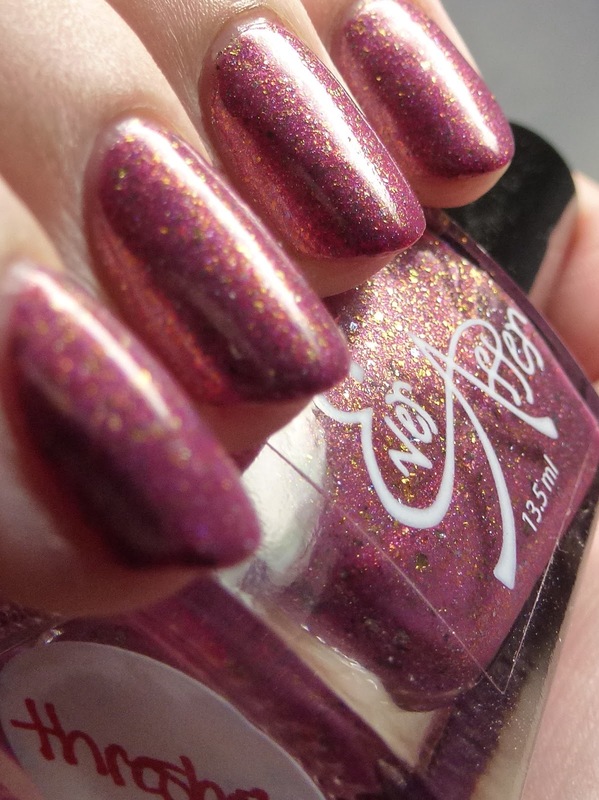 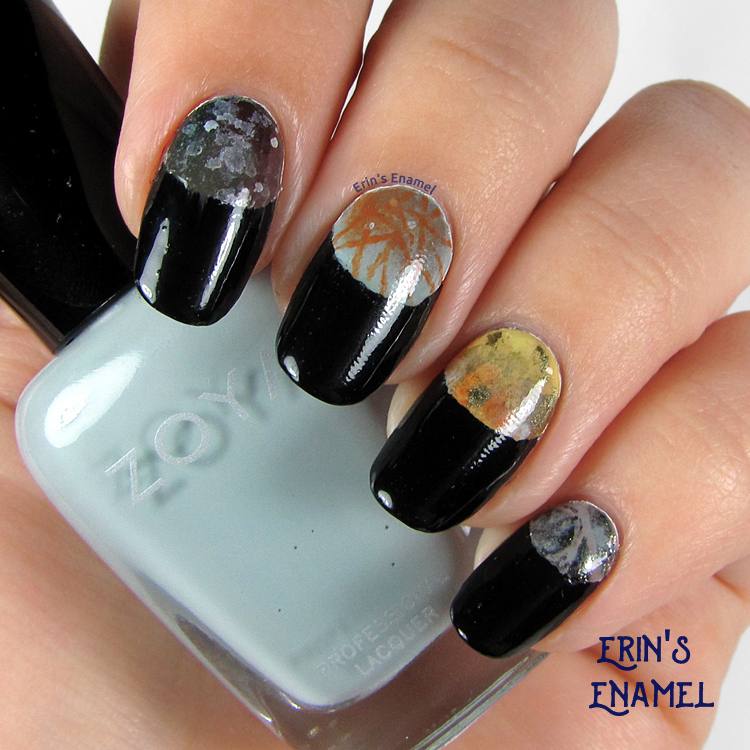 Cin is a melange of violet and brown microflakes that shift to gold/green, along with scattered holo. 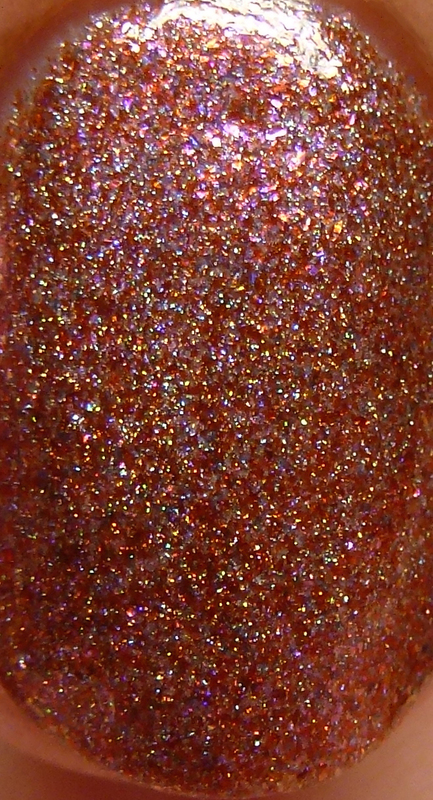 This is shown with three thin coats - it can also be used as a topper in a single thin coat. 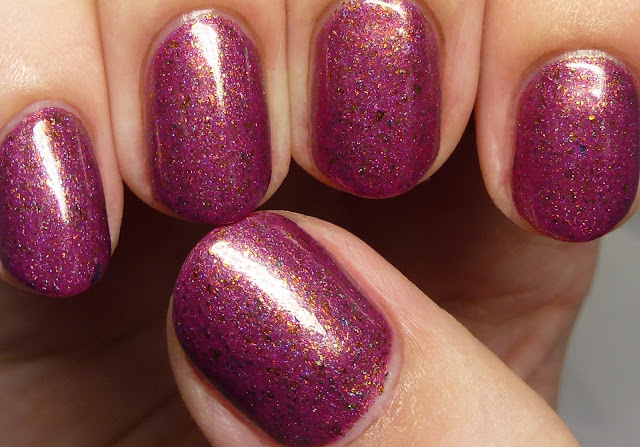 Sashay features multichrome flakes in a cherry blossom pink base. 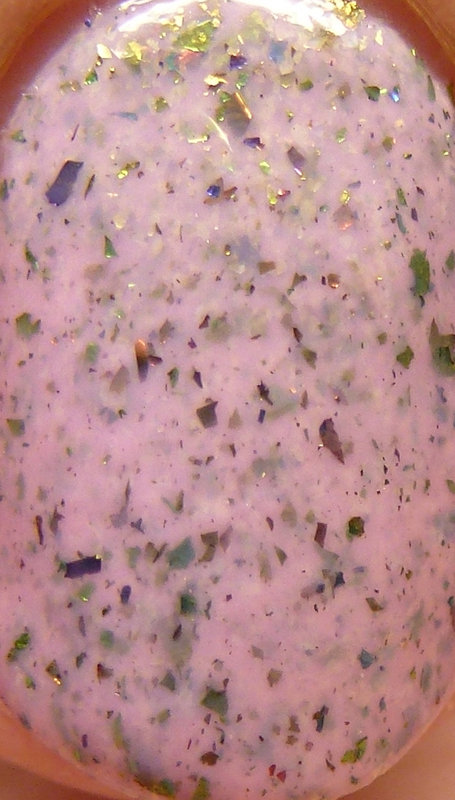 This is shown in three very thin coats, but two to three are enough for most people. 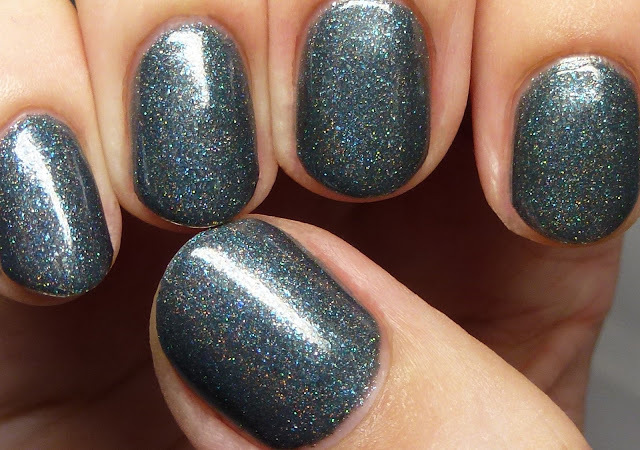 Gorgeous formula! 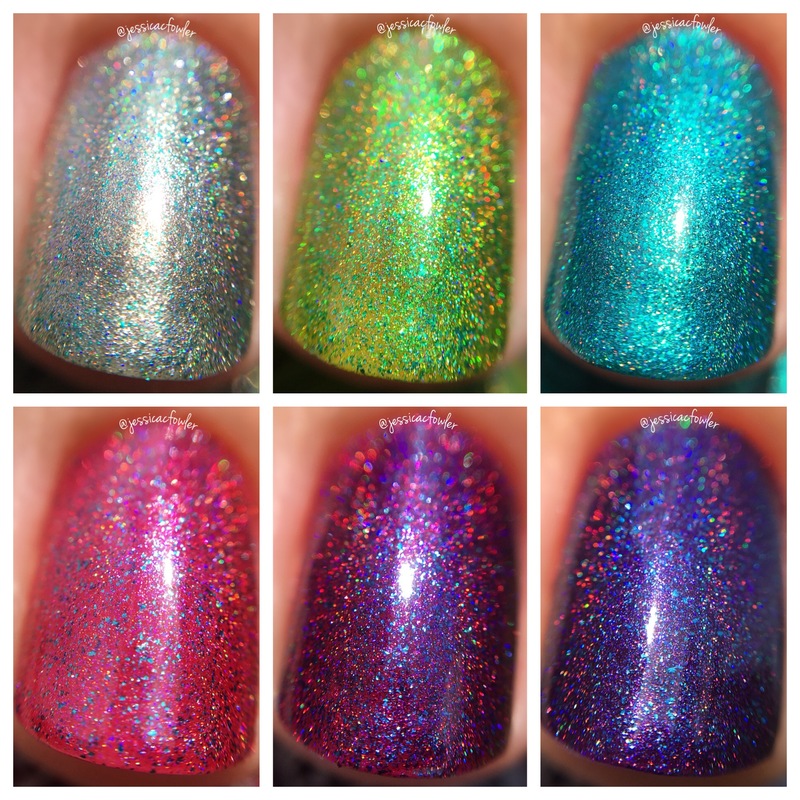 Threshold is my favorite, lol! 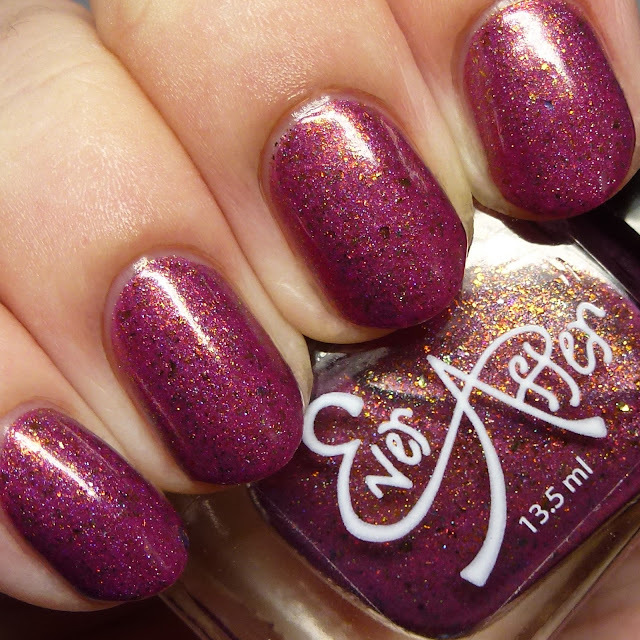 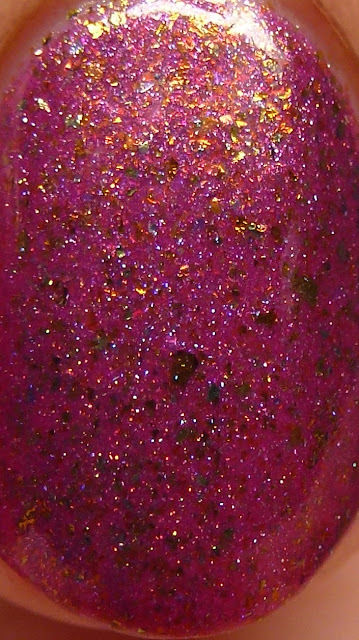 I has a dash of holo and multichrome flakes in a deep amaranth purple base. 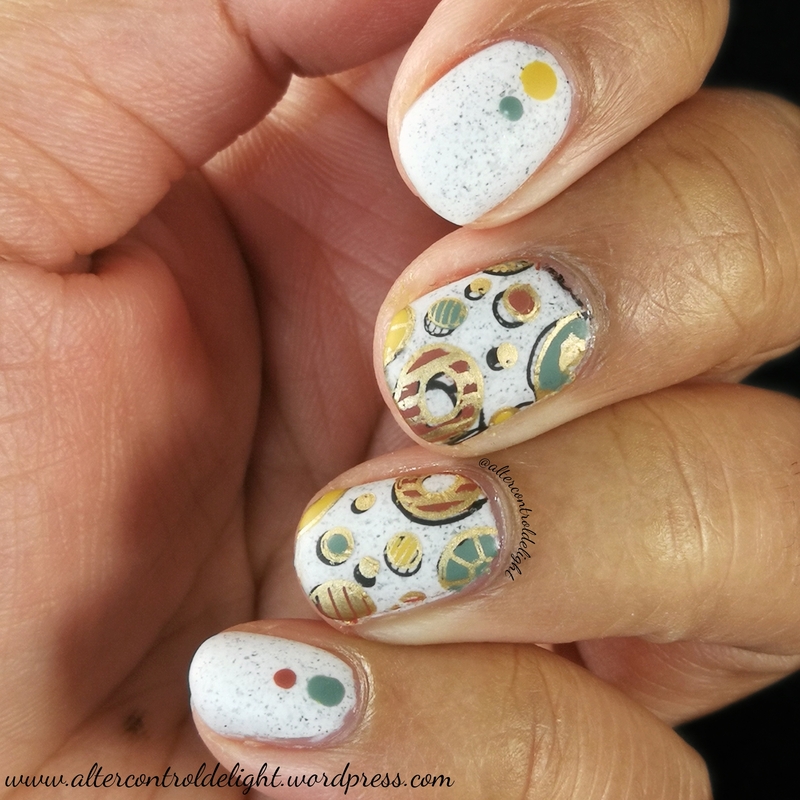 This is at once complex and classic! 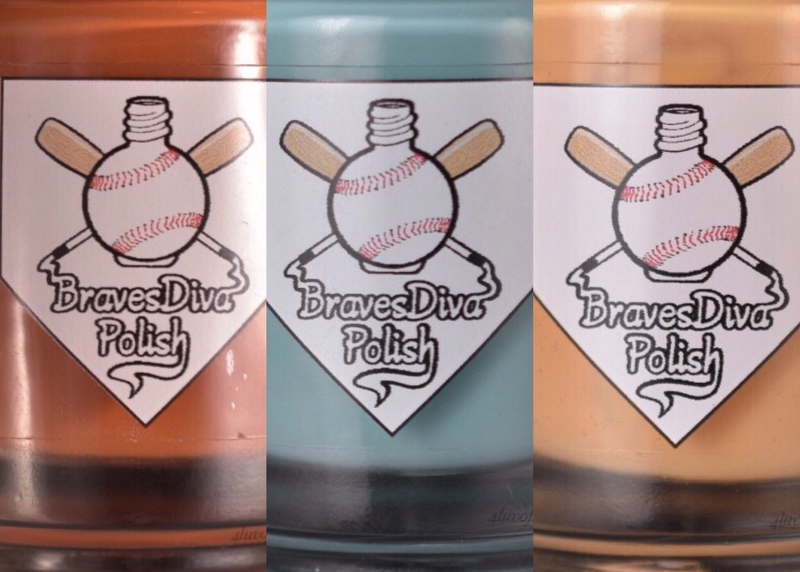 Great formula, shown here in three thin coats, though two would do. 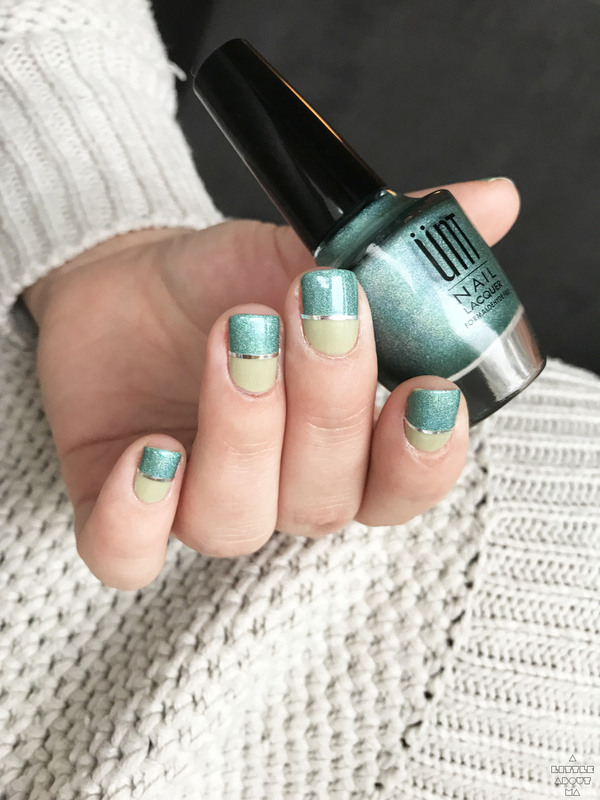 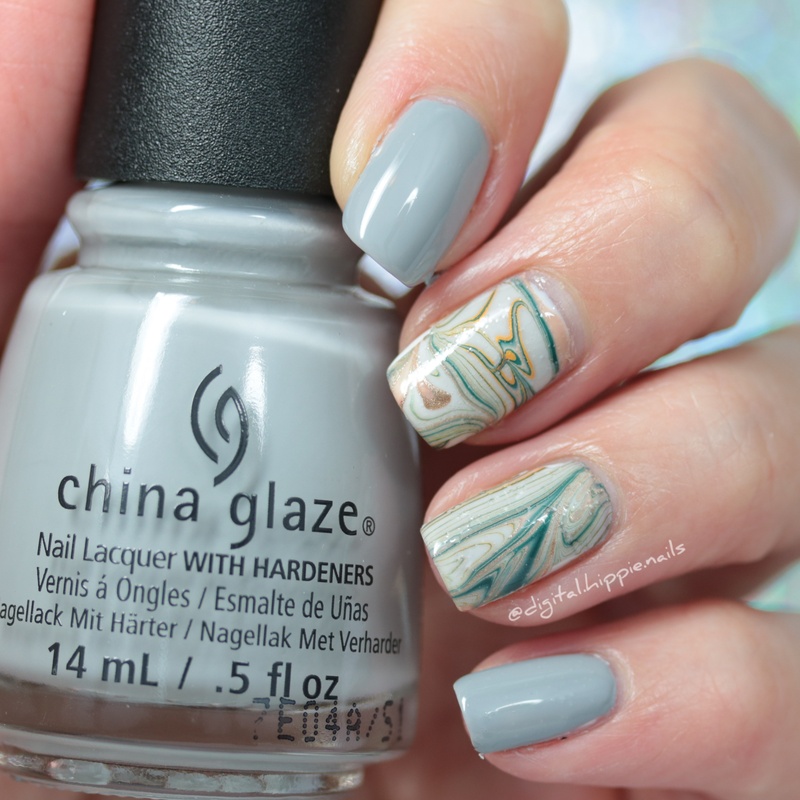 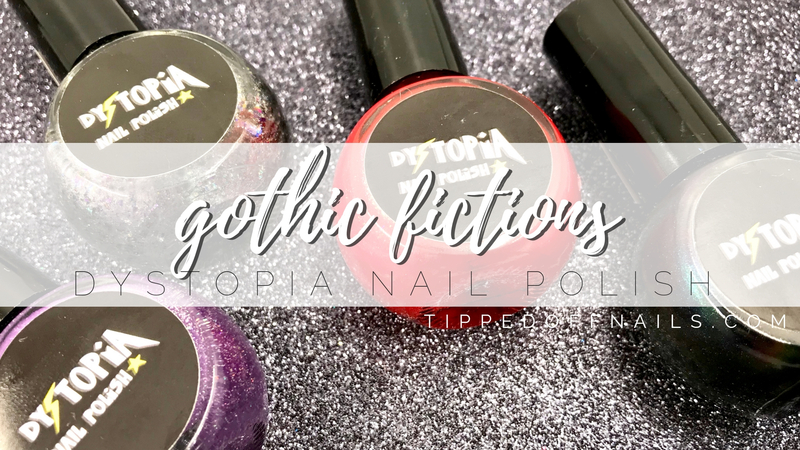 I love this take on muted and soft fall colors and I think this collection has some great polishes for people who want more traditional colors with a twist. 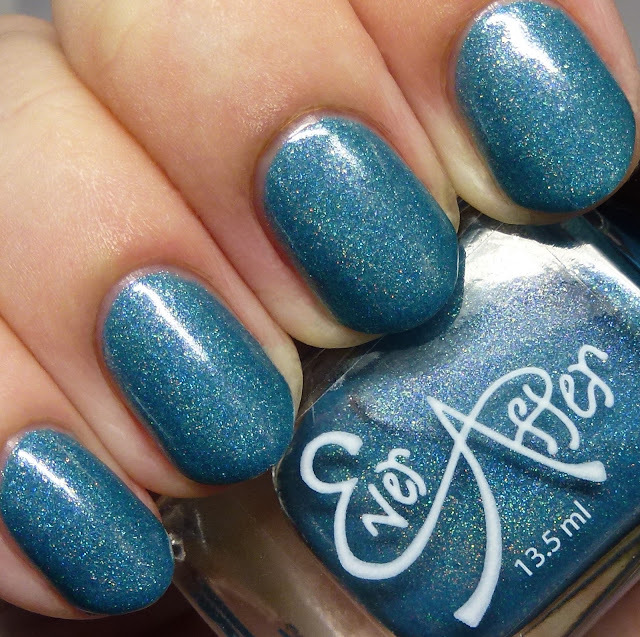 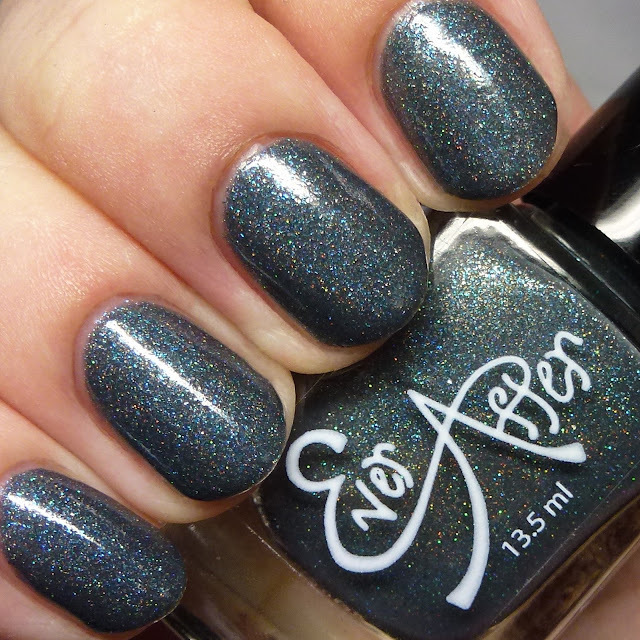 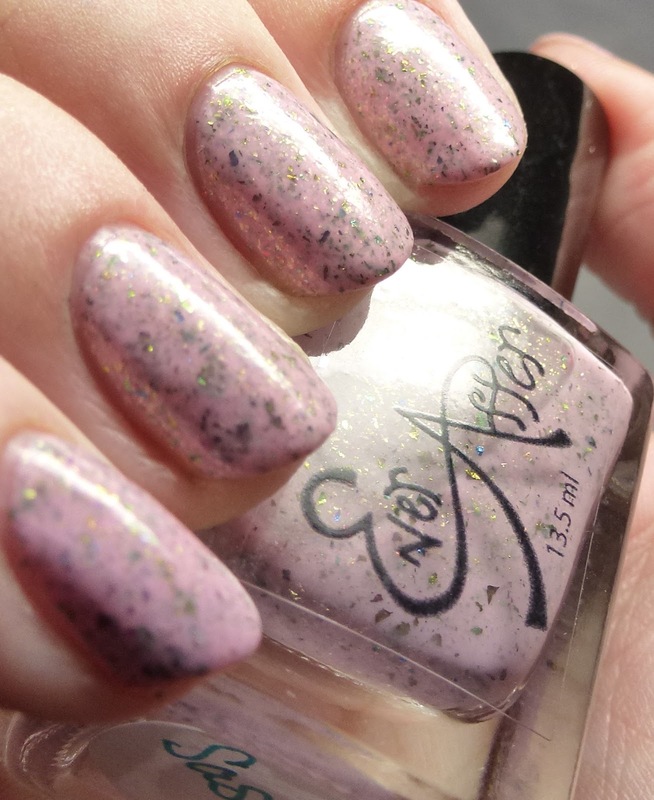 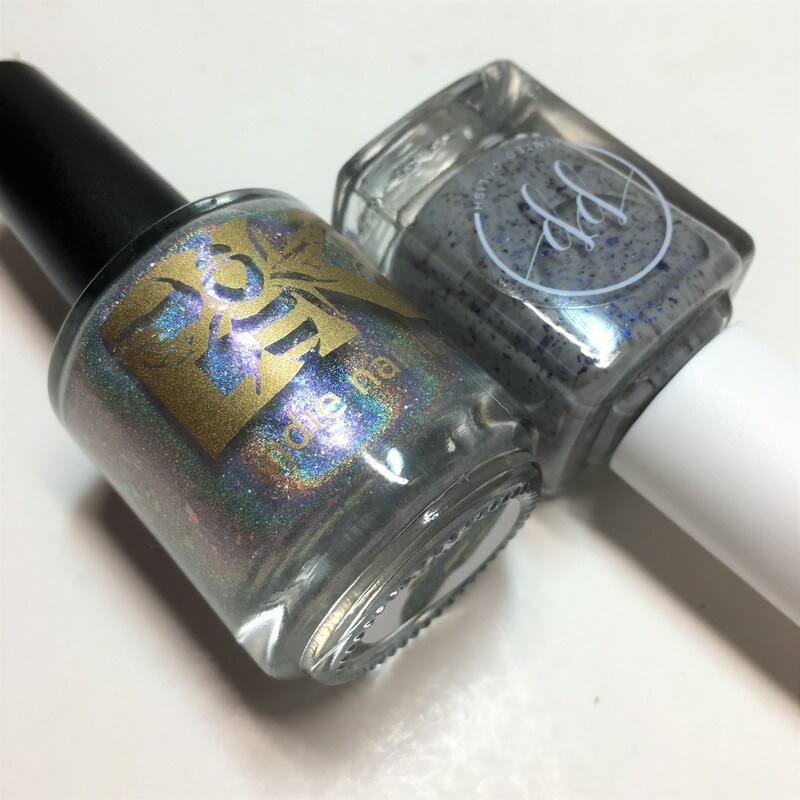 The complexity and encyclopedic use of shimmers and flakes has quickly become one of the real strengths of Ever After Polish. 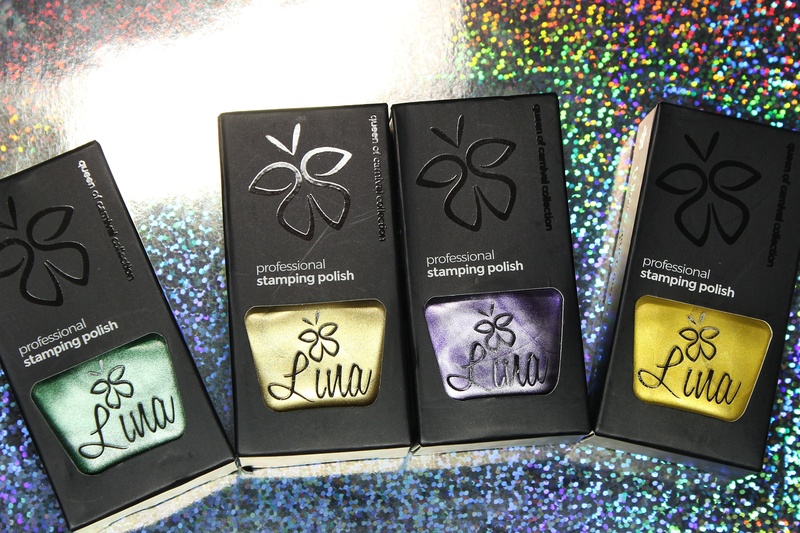 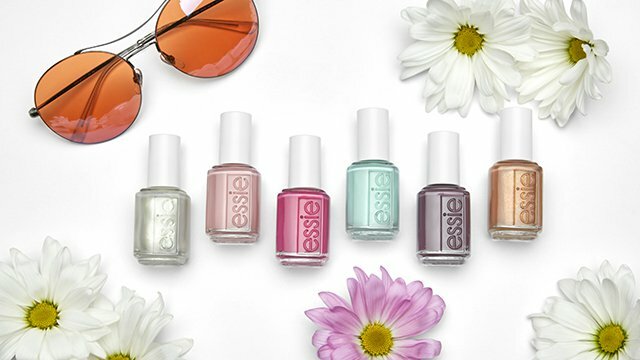 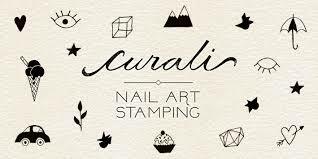 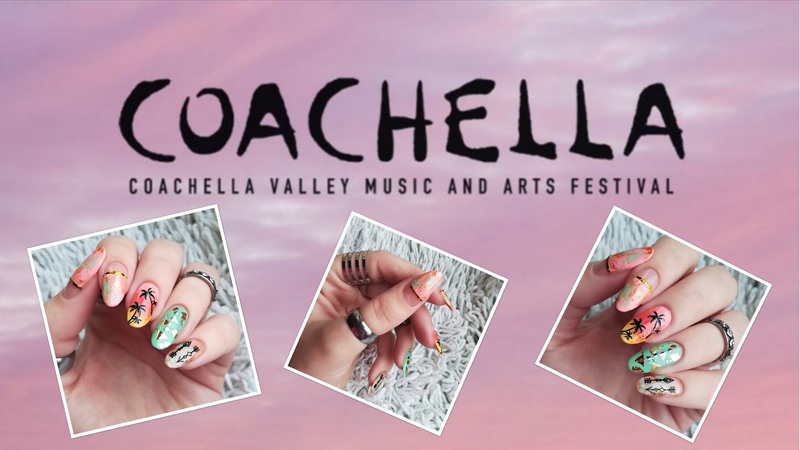 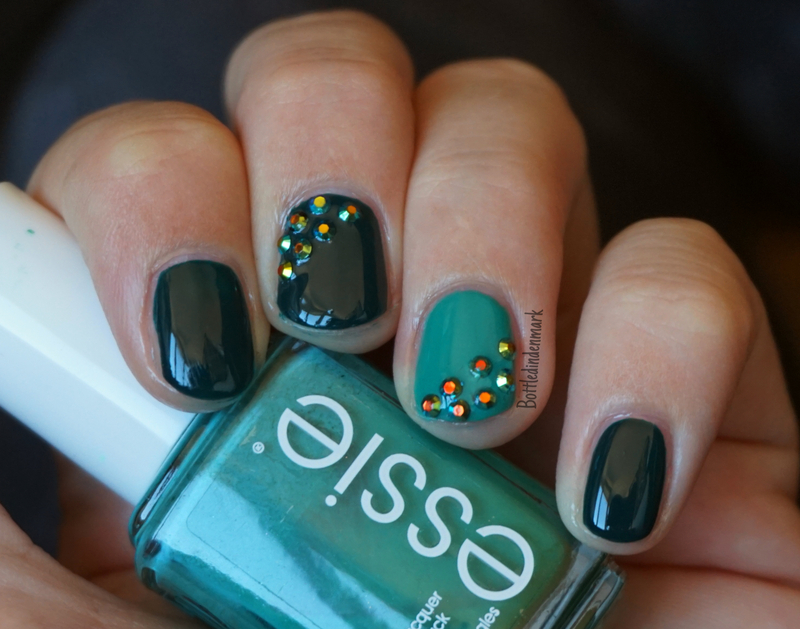 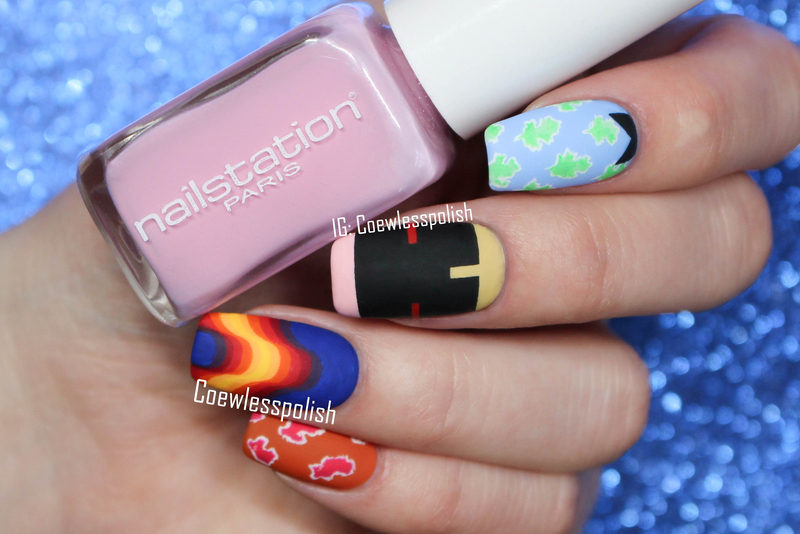 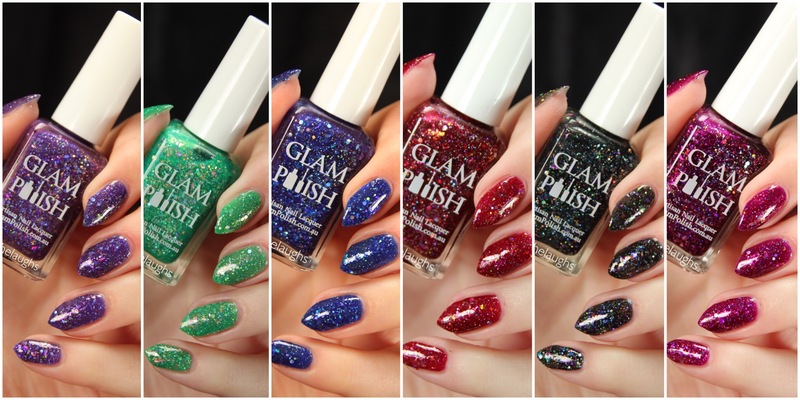 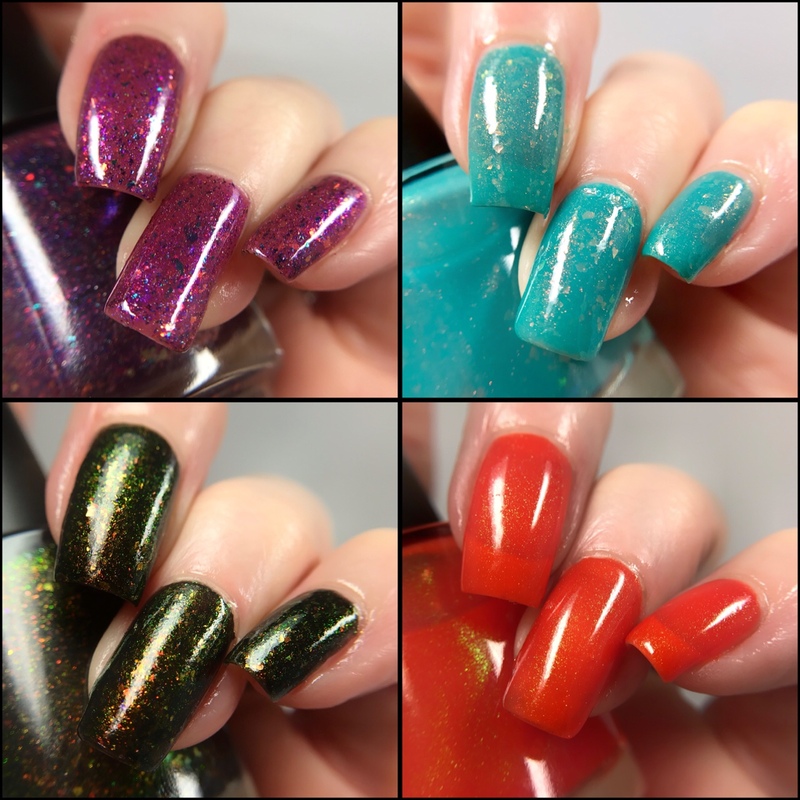 Each of these polishes is priced at $10.50, or the whole collection can be purchased for $48.